In Why North Korea Needs Nukes – And How To End That we pointed to the utter destruction the U.S. and its allies waged in the war on Korea on all parts of the country. That North Korea seeks “weapons of mass destruction” is quite understandable when one takes into account the hundreds of thousands tons of napalm used against it. 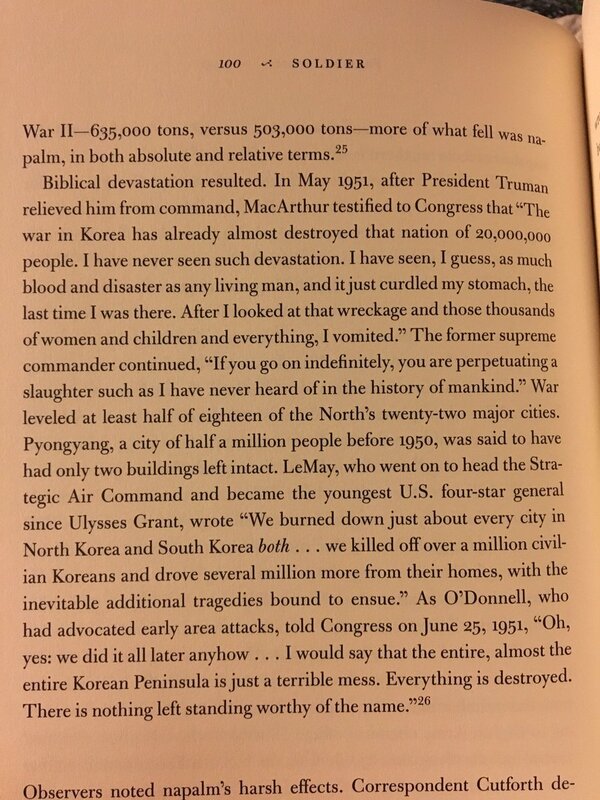 But even Napalm and the criminal destruction of North Korean dams were not the worst depravation the U.S. applied. Biological warfare agents, primarily anthrax, were dropped over North Korea and China and killed civilians. The U.S./UN command denied such use and covered it up. 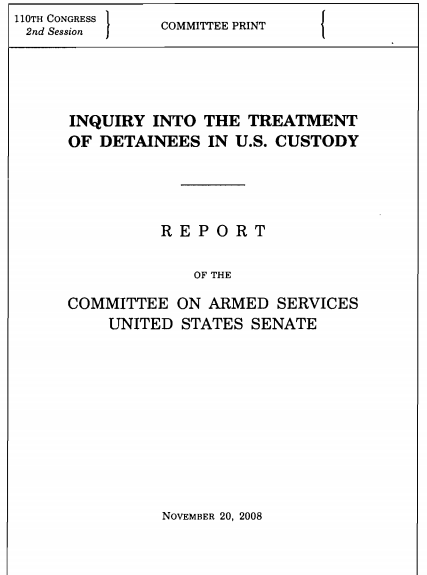 One consequence of that cover up was the development of torture methods in the U.S. SERE pilot training programs and their later proliferation into criminal abuses in Guantanamo, Abu Graibh and elsewhere. An important piece of evidence of this trail was recently and for the first time re-published on the web. USAF pilots nicknamed April 12, 1951 “Black Thursday”, after 30 MiG-15s attacked three squadrons of B-29 bombers (36 planes) escorted by approximately 100 F-80s and F-84s. The MiGs were fast enough to engage the B-29s and extend away from their escorts. Three B-29s were shot down and seven more were damaged, with no casualties on the communist side. On “Black Thursday” and other occasions U.S. bomber pilots were captured. Some of them admitted to have dropped biological weapons over China and northern Korea. Their confessions were published in writing and publicized on Korean, Chinese and Russian radio. Since World War II the U.S. Airforce and Navy had established training courses in Survival, Evasion, Resistance and Escape (SERE) for pilots that might be captured by enemies. During these courses “controlled” torture was used to provide realistic training. Decades later, during the war of terror and on Iraq, the CIA hired two psychologists as “behavioral science consultants” from the SERE training staff to teach its agents how to use torture on prisoners. The absolutely inhuman and dangerous methods those SERE “experts” devised proliferated to the U.S. military which, together with the CIA, used them on alleged enemy combatants in Abu Ghraib, Guantanamo and other places. The torture training at the SERE schools and the abuse was all based on a big lie. The SERE torture resistance training and its abuse are based on the bigger lie about the non-use biological agents in the war on Korea. 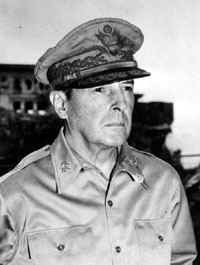 General MacArthur, one of the foremost war criminals ever, covered up the war crimes of the Japanese and especially of Unit 731. He took care to integrate the Japanese biological weapon experience into the U.S. military resources. Under his command biological agents were then used against Korean and and Chinese civilians and military units. When his pilots confessed, he denied all such reports and alleged “brainwashing” through torture by the Chinese. This again led to torture “simulations” in U.S. SERE training from which recent U.S. torture in Iraq, Afghanistan and elsewhere derived. The following article from Australia is a sharp rebuke of Australian Prime Minister Malcolm B. Turnbull by an Aborigine candidate of the Australian Senate that rightly criticizes his government for doing nothing to stop the torture and widespread abuse of children and juveniles at the Don Dale Detention Centre that was exposed by investigative journalist Caro Meldrum-Hanna on Australian national television on July 25, 2016. The indigenous or Aborigine Australian community repeatedly demanded that the Australian government take legal action. Reports about Aborigine or First Nation children and juveniles, which are the bulk of the detention wards in the Northern Territory, being brutalized were frequently made without meaningful consequences. Leaks from Don Dale Detention Centre show children being forcefully stripped naked, hog tied like cattle, carried by the neck, knocked down, and thrown by facility staff. 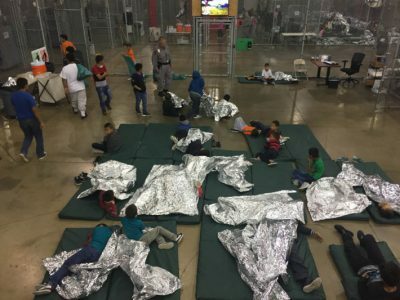 Prison guards systematically de-humanized and humiliated children and juveniles with insults, beatings, and gassing in what amounts to nothing short of unjust abuse of authority and criminal acts. Prior to the leaked footage aired by the Australian Broadcasting Corporation’s Four Corners program that explicitly shows children and juveniles being abused and tortured by guards, current and past Australian governments were well aware of what was happening at the youth detention centre for approximately two to five years. These governments, however, refused to take any action. Only when the broader general public became aware of the horrific crimes at Don Dale Dentention Centre did the Australian government feign outrage and pledge to take action by saying that it would establish a royal commission of inquiry. This is utter hypocrisy and dishonesty on the part of the federal government of Australia, which has been motivated by the self-interest of saving face. Along with the long history of the Australian state to abuse vulnerable peoples, the racist attitudes that serve to justify the marginalization of the Aborigine of Australia are deeply entrenched in Australian society and have enabled what has happened in Don Dale Detention Centre. The victims were not seen or respected as being equals. 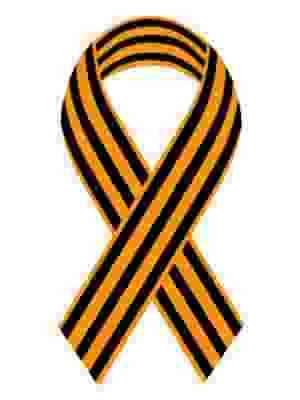 Instead the victims were viewed as lesser people by virtue of their socio-economic and ethnic backgrounds. Essentially they were treated as non-people that could be abused with impunity. This is why Don Dale Detention Centre should be viewed as nothing short of being Australia’s own Abu Ghraib. The Iraqis that were tortured by the US military in Abu Ghraib were also viewed as non-people by the US personnel stationed there, which for the US perpetrators excused the violation of the rights of their Iraqi victims. Moreover, the comparison between Abu Ghraib and Don Dale is especially fitting since many of the wards at Don Dale are children and juveniles from Australian indigenous communities, which are a dispossessed people that have been driven off their ancestral lands by the colonial process that established Australia. Mahdi Darius Nazemroaya, Asia-Pacific Research Editor, 26 July 2016. Dylan Voller, a thirteen-year old boy, being strangled at Don Dale Detention Centre. Dylan, age seventeen, is seen above and below being tied to a chair in adult prison. Malcolm Turnbull has called for a Royal Commission after seeing on ABC’s Four Corners the brutality that has been happening under both his government and the previous Labor government. He said this evidence had not been brought forth at previous inquiries. Not good enough Turnbull! People have been screaming for the past five years about the Don Dale detention centre and your government and the Labor government have chosen to ignore this pure evil. You not only ignored it, you let it fester. Put simply the Coalition and Labor have lost the ability to govern. Ken Canning is a First Nations activist who was a Senate candidate for the Socialist Alliance in the July 2 elections.